I am in foodie-heaven because I made this for dinner today. The whole house smells of wonderful spices like cardamom, cinnamon and nutmeg. While the dish was in the oven, I stepped out to check the mail and I then realized that the aroma from the dish had wafted down the street. I bet my neighbors could smell the fragrances. 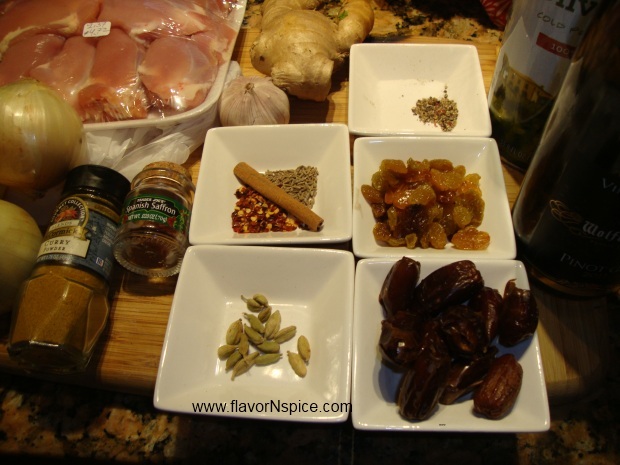 This chicken tagine was loosely based on a recipe that I got from a friend combined with one that I found in the New York Times. 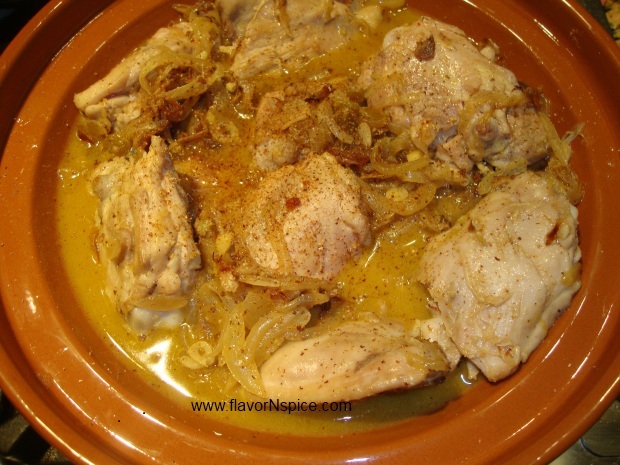 So I mixed the two recipes up and added a dash and a pinch of my own ingredients and Voila – the best Chicken stew/tagine I have ever made! 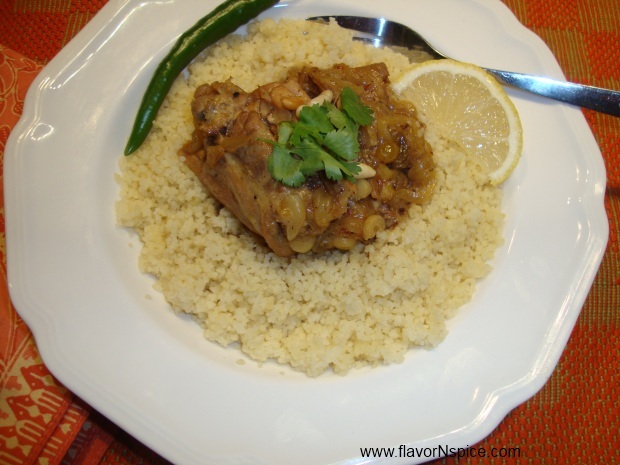 This recipe is probably based on a traditional Moroccan recipe but since this one uses wine, I am sure this is a “frenchified” version of it. Of course, being Indian, I added some more spices and the result was absolutely delicious. This would be a great main course for a dinner party because it can be made ahead of time and kept warm in the oven, so you don’t need to be running around and assembling anything when your guests arrive. It will surely be what I am going to serve at my next dinner party! 1. 12-13 Chicken Thighs (with the bone in). 1. Heat the oven to 350 degree Fahrenheit. 2. 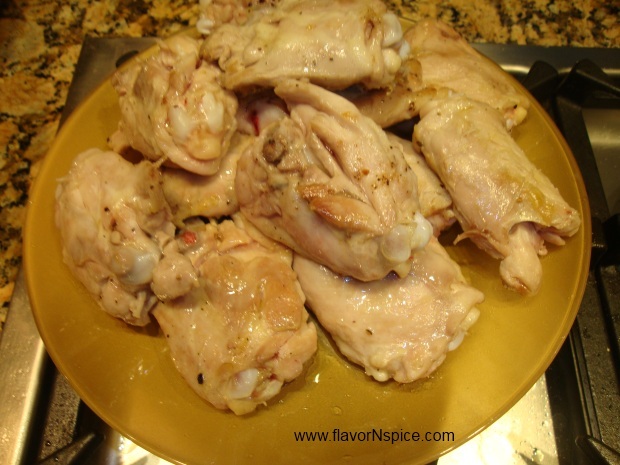 Sprinkle salt and black pepper on each of the chicken thighs. 3. In a large heavy bottomed pan (or a Dutch oven), pour the olive oil in the pan and start heating it at medium heat. 4. 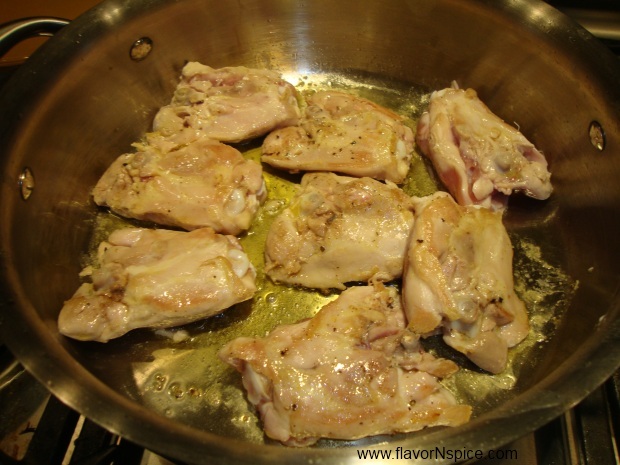 When the oil is hot, lay the chicken thighs down at the bottom of the pan, one by one. Do not overcrowd the pan. We just need to brown/sear the exterior of the chicken pieces. So you may have to do this in batches. I did mine in two batches. 5. 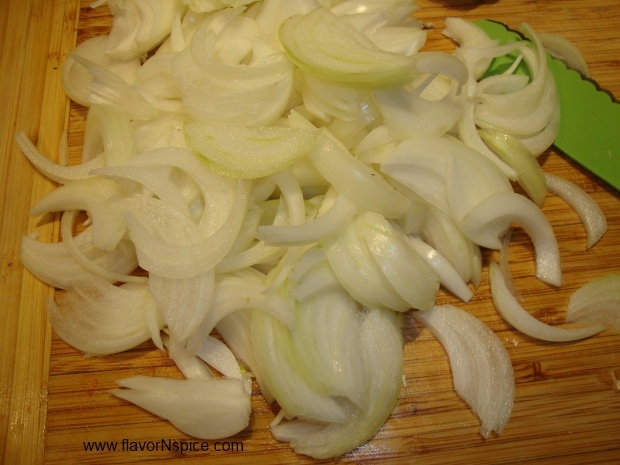 While the chicken is getting seared, peel and slice the onions thinly, into long pieces. 6. 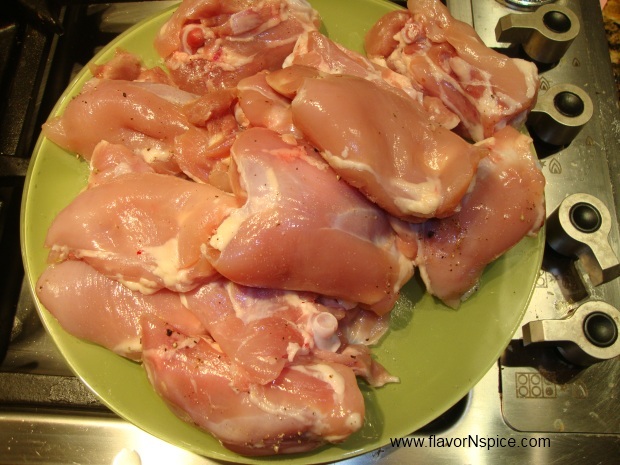 When both sides of all the chicken pieces are seared/browned slightly, take them out and set them aside in a dish. 7. 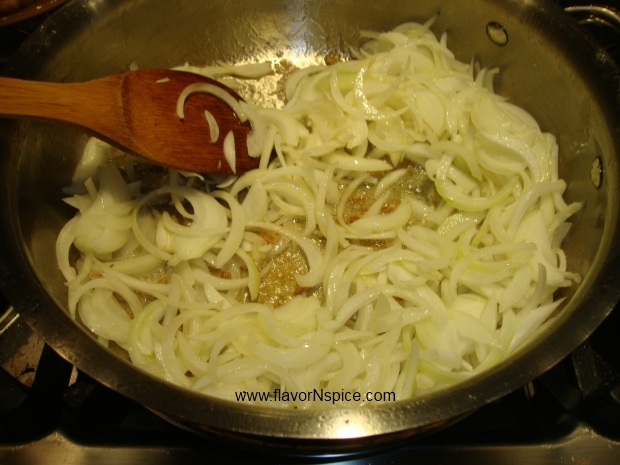 In the hot pan in which you had browned the chicken, add the onion slices and cook them over medium heat to let them caramelize slowly over low to medium heat. This process with take about 10 minutes. Keep stirring frequently. 8. 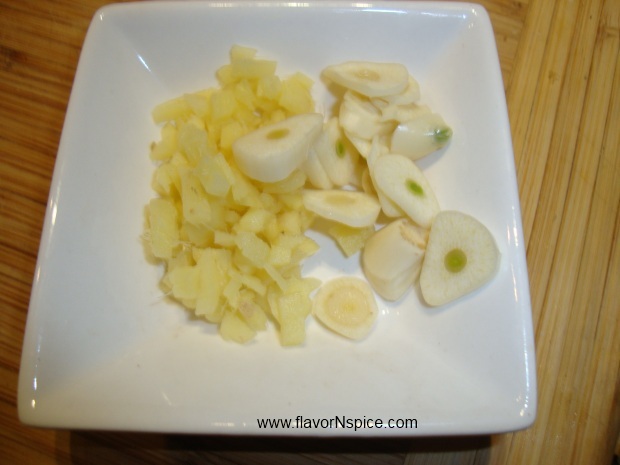 While the onions are getting done, peel and slice the two garlic cloves and also the piece of ginger (dice the ginger finely). 9. Also chop the dates into small pieces. 10. 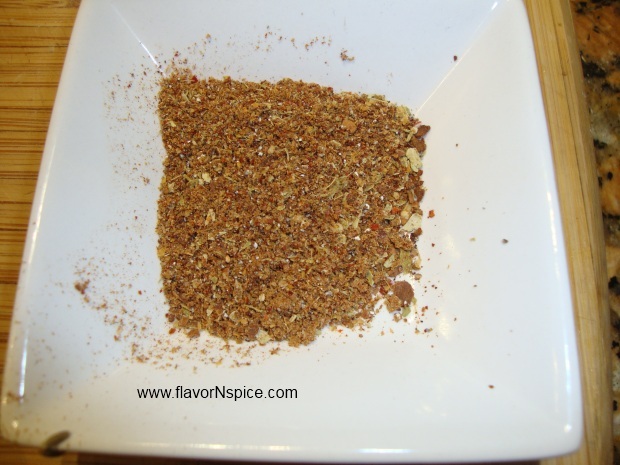 Using a spice grinder, grind the following dry spices: cinnamon, cumin, cardamom and red pepper flakes and keep these aside. 11. 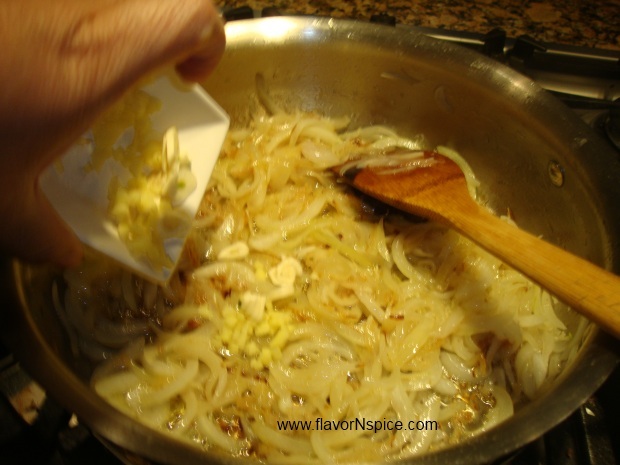 When the onions are done, add the chopped ginger and garlic to the pan and let them cook for a minute or two. Stir frequently. 12. 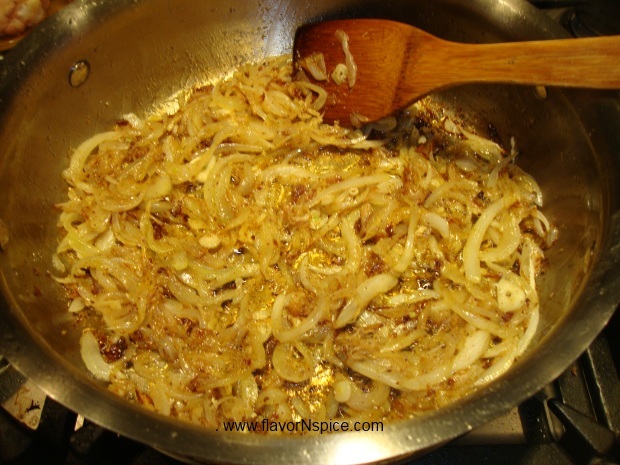 Then add the curry powder and the freshly ground spices to the hot pan and stir. 13. Now add the chicken broth and the white wine and stir again. 15. 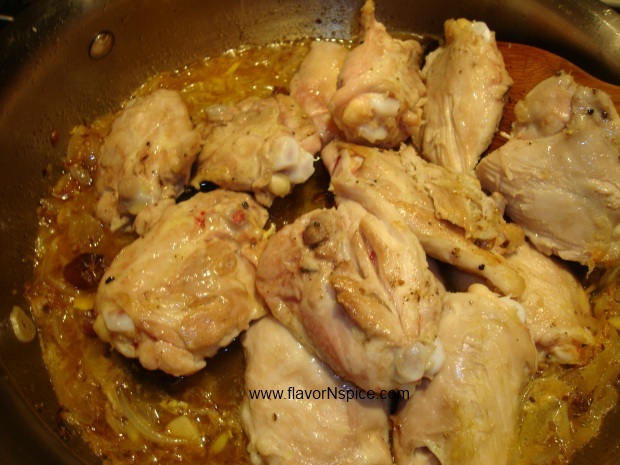 Add the chicken thighs to the pot and gently stir the contents. 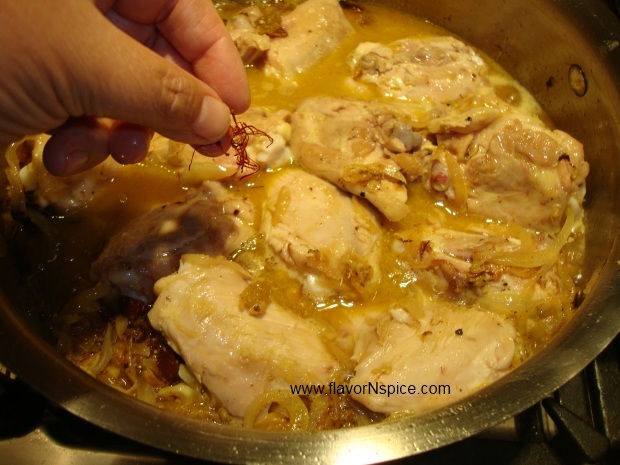 Let all the chicken pieces get coated with the spices and the liquid in the pan. 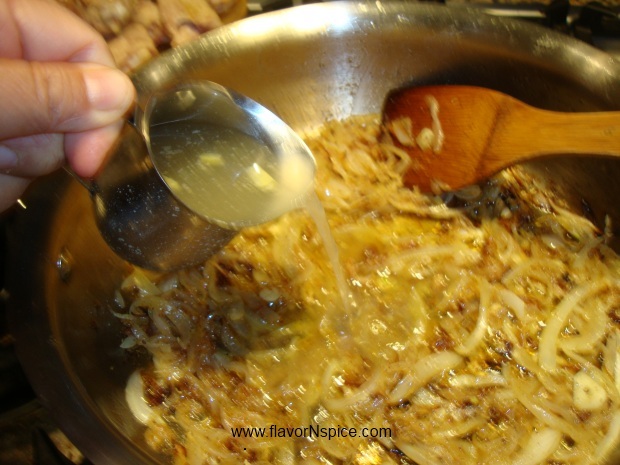 The liquid should come up to the level of the chicken pieces but if the liquid doesn’t seem enough, add a little bit more broth. 16. 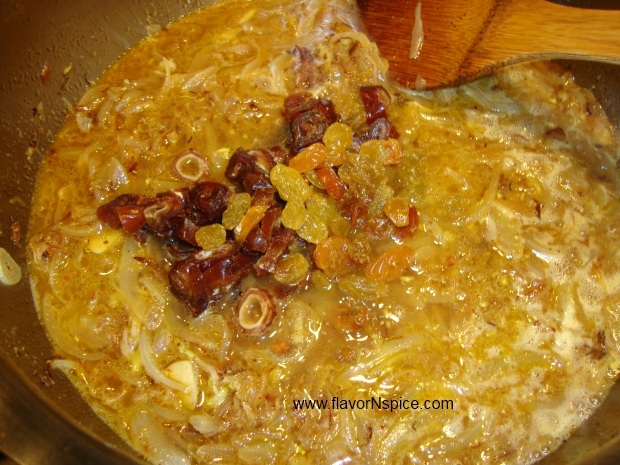 Grate a little bit of nutmeg on top and also add the saffron twigs. 17. When the liquid in the pot starts to bubble, you can either place this pot (make sure it had a good-fitting lid) in the oven or you can transfer the contents of the pot to an oven safe dish and cover it and place it in the oven for an hour. 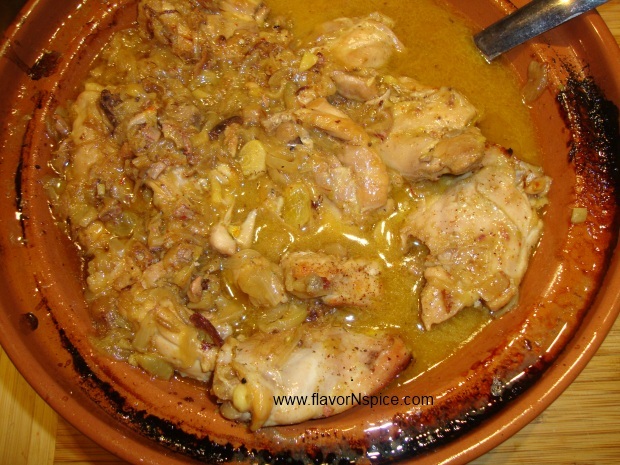 I used a terracotta Tagine shaped dish. 18. 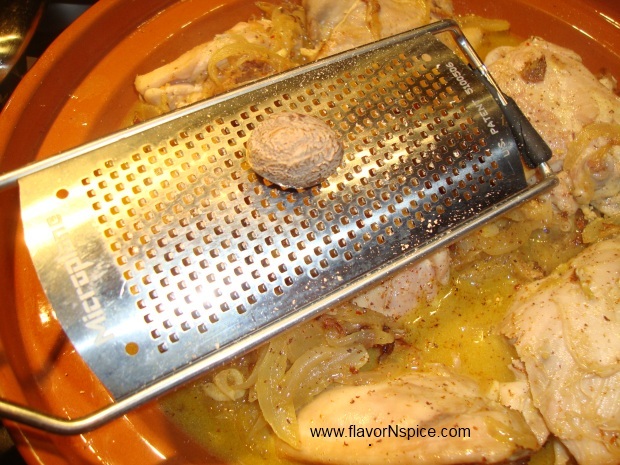 After an hour take the chicken out and taste for salt – adjust it according to your taste. 19. 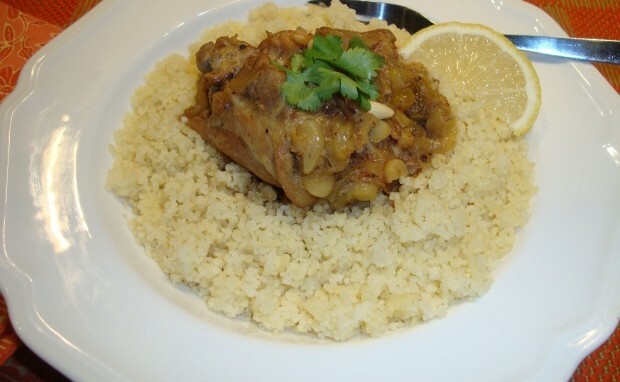 Serve the Chicken with freshly made couscous. Hi Ally! This did come out really well, it even surprised me. I got the original recipe from Cami’s mom and then I “Shabnam-ized” it a bit. I’ll make the next time you and Aman are in town! Rupali Khanna recommended your site. You have done a fabulous job by making it so easy to follow the receipes for people like me. will absolutely spread the word around. Will also give the feed back once i am back in the US and have tried some of these recipes.